Learn the various dog breed groups you’ll work with as a professional groomer. Know the characteristics of each group, including sporting, working, and herding, and identify which breeds belong to each. Get to know the various types of dog breed groups, and where each individual breed fits in. Learn the characteristics and traits associated with each group, and refer to your guide throughout your career in dog grooming. 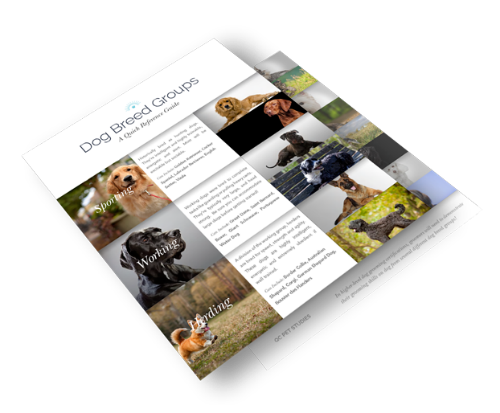 Download the free guide to dog breed groups to keep handy during your career as a professional groomer. Reference your guide when you work with new breeds, or want to refresh your knowledge!